Judith Pfeil; Glenda D. Price; Martha Joh Reeder and Pam Thiel. I am a candidate for the 2015-2017 AAUW Board of Directors. I currently serve as AAUW NYS Membership VP and President and Founder of the Empire State Virtual Branch. Gender Equality, Diversity in Membership and Improved Communications and Transparency are very important to the growth of AAUW. 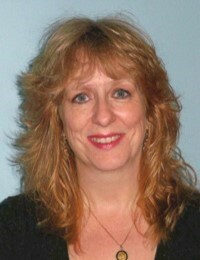 Learn more about my work at www.facebook.com/EmpireStateVirtualNY. Gender Equality: We can help achieve Gender Equality through Education. You and I can make a difference in many young women’s lives by offering scholarships and professional development experiences like AAUW’s conferences. Diversity in Membership: I will work with your branch to reach out to our community colleges and local universities. This will be integral to our efforts to develop and recruit new members and ensure AAUW’s future leadership. Improved Communications and Transparency is vital to achieving AAUW’s mission. Together we can empower women and girls through public policy advocacy, education, research and philanthropy. It was the promise of an education and a bicycle that brought me to the United States as a child; it is education and service that keep me in motion today. I grew up in Indiana and earned a graduate degree at Nazareth College of Rochester, New York. While I taught English in Ohio and in the Rochester area, I also stayed connected to cultural immersion, working for an exchange program as a sales representative. I recently used those skills to recruit a College/ University AAUW partner abroad. As an employee of Nazareth, I worked in the Education Department to place students in classrooms prior to student teaching, making outreach to the community and constant use of effective communication. Volunteering my skills and leadership in AAUW New York State as president and in California has provided me with many opportunities for involvement in program planning, project implementation, philanthropy, membership building, voter engagement, and in supporting the value of education to improve the lives of women, girls, and families. I have served as a detail- oriented and dependable representative with the organization through 40 years of membership. I joined AAUW because of the mission, I am committed to advancing equity for women and girls with particular interest in ending the gender wage gap, getting more women into leadership roles both in corporations and government, and promoting STEM careers to women and girls. 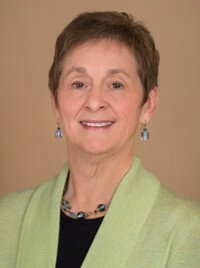 My experience spans all levels of AAUW leadership – branch president, state president, national committee chair/member, and a previous role as an elected Director on the national board. Currently I am the chair of the national STEM Task Force, a member of the national Public Policy committee, and state president. Previous roles include chair of the national Branch Program Resource Committee, liaison to the National Girl’s Collaborative Project, and state Program Vice President. This entry was posted in AAUW Election and tagged AAUW, Get out the vote on March 23, 2015 by drrani.